All Bible translations face a problem—the cultural gap between the Bible and contemporary readers. English words evoke Western assumptions and values that are unlike those of biblical writers. The word “grace” (Greek: charis) is a good example of this problem of cross-cultural interpretation. To understand “grace,” we must understand patronage, but even that can be difficult for Westerners because of cultural reasons. In biblical times, patronage was a dominant social-economic system for managing relationships and resources. The cultural assumptions of patron-client relationships pervade NT texts. But, the English language fails to evoke those nuances of patronage in the Bible. The reason is because patron-client relationships are hardly present in the English-speaking cultures; the English language is not naturally used in contexts of patronage. And since words derive their meaning from social contexts, English words inadequately express the dynamics of patronage. Discussing patronage in English is like using a tribal language in Papua New Guinea to explain nanotechnology—the words are not meant for such a task. Yes, there are terms in English like patron, client, benefactor. But those academic terms do not evoke the moral obligations of generosity, gratitude, or reciprocity that define patron-client relationships. For example, when you read Nathan’s parable in 2 Samuel 12 about a rich man who was so stingy that he stole a lamb to feed a guest, do you feel a sense of wrongness or repulsion? If you a Westerner like me, then probably not, because patronage is not part of our social life or moral worldview. 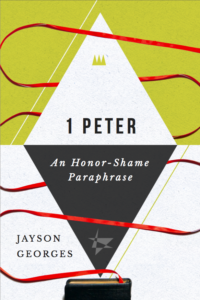 The words of rich, stingy, and guest imply something rather different in Western cultures than in biblical and Majority World cultures. So by reading the Bible in English, our minds assume the Western concept of rich, stingy, and guest. The problem here is not about the actual translation. The translators did they best they could, but their tools (i.e., English words) are not very good for carrying meaning across cultures. Consequently, no English translation fully evokes the moral ideology of patron-client relationships. So our eyes glide over social and theological nuances of biblical concepts, such as the word charis. The word “grace” is championed as a hallmark of the Christian faith. Protestants speak about prevenient grace, justifying grace, sanctifying grace. In English, “grace” carries a specific, religious meaning among Protestants. So English Bibles that use the word “grace” to translate charis, evoke that particular meaning. The words charis refers to patronage, benefaction, benevolence, generosity, benefit or favor. 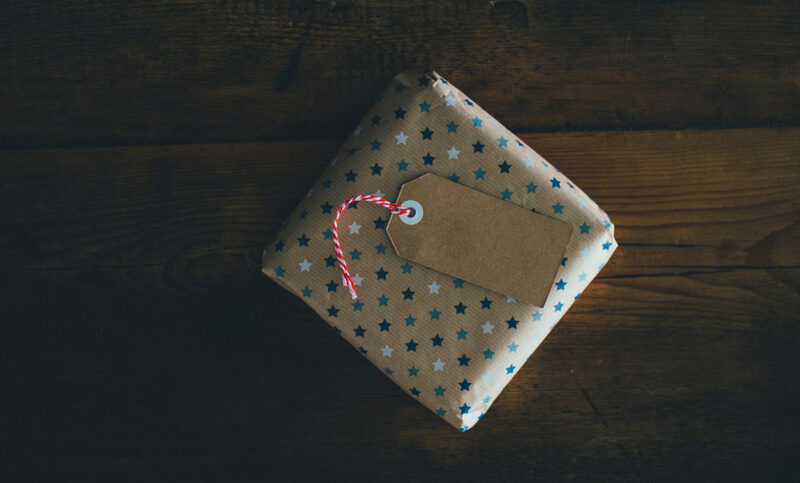 NT scholar John Barclay uses the language of “gift” for charis. But still, he spends 100+ pages to explain how the Western meaning of “gift” is so unique and different. In the West, a gift should have no strings attached; any expectation of a return ruins the gift. But in collectivistic contexts, a gift creates an obligation to reciprocate; gifts do have strings. Western culture has peculiar views of patronage and gifts, and we unknowing bring those cultural assumptions to the Bible. This fact hinders English speakers from reaching the innate meaning of charis. And after centuries of theological conversations, the English word “grace” comes with baggage that distracts from the biblical concept of charis. After an extensive explanation of charis in the ancient world, Zeba Crook says, “Unfortunately, a term like ‘grace’ is so loaded with modern theological implications and post-reformation overtones that unless modern theological application is the goal, such a translation [of charis] risks being thoroughly meaningless.“ (Reconceptualising Conversion, p. 147). Here is another way to frame the issue. The Bible gives us answers, but doesn’t mention what questions it is answering. Many readers assume the Bible answers our questions. But it doesn’t. An important principle of biblical interpretation is to ask: What (implicit) question is the author trying to answer? Without noting the context and strategy of the biblical authors, we filter the Bible through the narrative of our social circumstances. Reformation theologians like Luther and Calvin spoke about grace in and for Christian Europe. They answered the implicit questions of medieval Christians, not first-century Jews in Galatia. John Barclay explains how different implicit questions arising from different social contexts affect the interpretation of grace. For Paul, grace was the answer to Jew’s ethnocentric group-righteousness. For Luther, grace was the answer to moralistic self-righteousness. Two separate social contexts lead to two subtly different conceptions of charis/grace. To be clear, the Reformation doctrine is not wrong (remember, I’m a Protestant!). But there are some areas where our modern understanding of “grace” does not overlap the biblical concept of charis. And that non-overlapping area happens to be vitally important for honor-shame cultures, both then and now. Explain to your audience the dynamics of patronage and reciprocity that are inherent in the word charis. I Love this site! Thank you for your ministry! Can you explain why a westerner wouldn’t be repulsed by a rich man stealing a poor man’s lamb? I think they would be. And how does patronage apply in that passage. Also I love the quote from Paul and the Gift. Could you further explain that? Specifically was Paul calling the Jews just to break from their Jewish roots or also for the developing church to break from the Roman system of achieving honor? Excellent explanation of grace. Thank you. It seems to me that Grace transfers us from one small ethnic tribe to the Family of God Tribe. Is that close to your intent? Several times during Bible study, I resort to seeking equivalencies in my native language and other African languages I know. In most cases, I discovered the native languages offered a better translation of the Hebrew or Greek words used in the Bible. Can you give an example of that Edmond? I find knowing other languages really enriches Bible study too. Jesus tells the Gospel story through the reciprocal hospitality. He comes to us as a stranger and is mostly rejected. But if somebody invites him, he comes to us. Examples of this would be Rev 3:20 or the sinful women in the house of Pharisee. The reciprocal hospitality comes in the parables of invitations into a feast, or in the promise Jesus gives in John 14; he is preparing a place for us in his Father’s house. This reciprocal hospitality is free of charge, it is a gift. It would be ultimately offended by paying for it. So it is by grace, not by works. In hospitality there is honor for being invited and honoring the host. Rejecting the invitation is an insult and paying for it would be shameful. I have often struggled with the standard definition of grace as “unmerited favor” Every definition I have read of charis defines it as simply favor. If I invite someone to my home for a fine meal communicate to them that they didn’t deserve it, am I being gracious? In Luke 2 we read that Jesus grew in favor (charis) with God and man. Was this favor unmerited? In other words, God shows favor because He is good, not because we are bad. I invite thoughts from others as to how that relates to the above article. It seems to me that He wants us to reciprocate by showing Him favor; by inviting Him into our lives and encouraging others to do so as well. I am having a hard time understanding the example given of Nathan’s parable to King David. I (as a westerner) was repulsed by the rich man’s actions and so was David to pronounce a harsh sentence. Help me understand the connection to grace here in the proper meaning of grace. I was surprised to discover that in the Septuagint, CHeÇeD ‘covenant love’ is most often rendered eleos ‘mercy’, while it is CHêN ‘favour’ that is most often rendered charis ‘grace’. I find it helpful to make the connection between _charis_ and favor, but I had always associated it with ‘covenant love’ / ‘lovingkindness’, as suggested (though not stated) in this post. What do you think, Jayson? Are there helpful nuances? I suppose we should note that replacing ‘grace’ with ‘mercy’ doesn’t overcome the problem of reading the text through Western glasses. 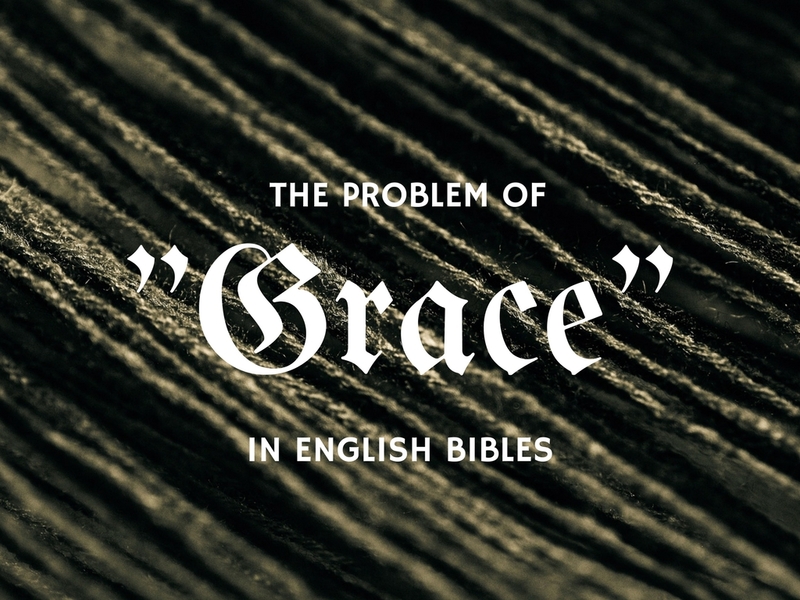 1 Pings/Trackbacks for "The Problem of “Grace” in English Bibles"